NBC 5 announced Thursday that David Finfrock will relinquish his chief meteorologist responsibilities, but continue to forecast weather for NBC 5 for the foreseeable future. 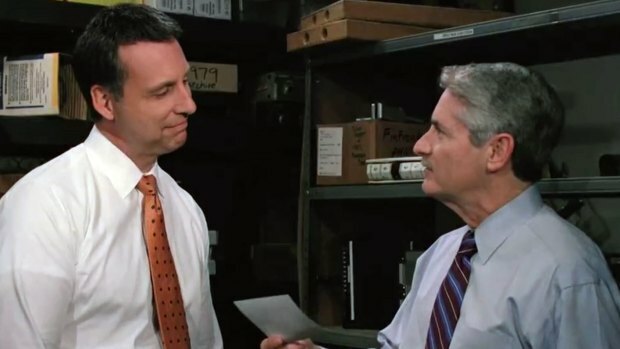 Meteorologist Rick Mitchell, who joined NBC 5 in 2012, has been named Chief Meteorologist and will now lead the team of six NBC 5 Weather Experts forecasting for television, the station’s weather app, www.nbcdfw.com, and various social media platforms. Finfrock joined NBC 5 in 1975 after earning his meteorology degree from Texas A&M University. He was mentored by legendary North Texas meteorologist Harold Taft, and named chief meteorologist in 1991. Mitchell joined NBC 5 in 2012 from KOCO-TV in Oklahoma City, OK, where he was chief meteorologist, and has over 30 years of experience. He earned his Bachelor of Science degree in meteorology from the University of Nebraska and has been recognized by the Oklahoma Association of Broadcasters and the Associated Press for his work forecasting severe weather. “It’s an honor to be named only the third chief meteorologist in NBC 5’s storied history as Texas’ first television station,” added Mitchell. “The weather team here is extremely professional and has been very supportive in transitioning me to this new role. I look forward to working with everyone for years to come. Finfrock will not have a definite on-air schedule under this new arrangement, but you will still see him on the air from time to time.